General George S. Patton recognized the .30-’06 M1 Garand semi-automatic rifle as “the greatest battle implement ever devised,” and the rifle accompanied American Marines and soldiers up the beaches of Normandy against the Germans, across the islands of the Pacific against the Japanese, and through the brutal cold of the Korean winter. It served America as our primary battle rifle through two wars, and is still prized today by collectors and shooters for itls timeless design and reliability. Now Century Arms International is having to lay off workers because the Obama Administration has refused to allow these pieces of American history to be re-imported from South Korea. 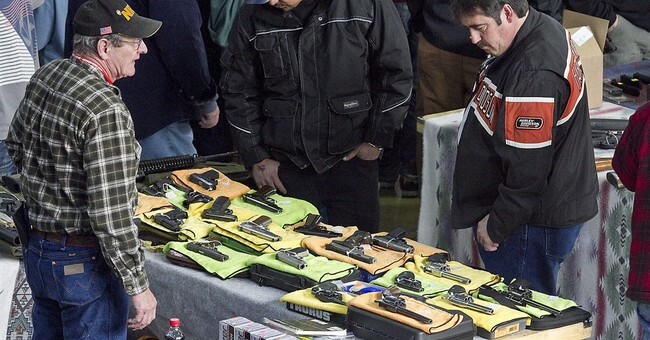 A Vermont gun manufacturer is laying off 41 employees and is blaming the Obama administration. Century International Arms in Fairfax imports surplus guns, reconditions them and sells them to gun dealers around the country. The company says it was preparing to import a $30 million shipment of World War II M-1 rifles from South Korea, but Century International Arms says at the last minute, the White House blocked the deal. When it comes to screwing over American veterans (both animate and inanimate), the Obama Administration doesn’t miss a trick.